This is an ale with zip. Our india pale ale brings together copious amounts of Columbus, Chinook, and Cascade hops in a tasty combination that lingers through the finish and beyond. 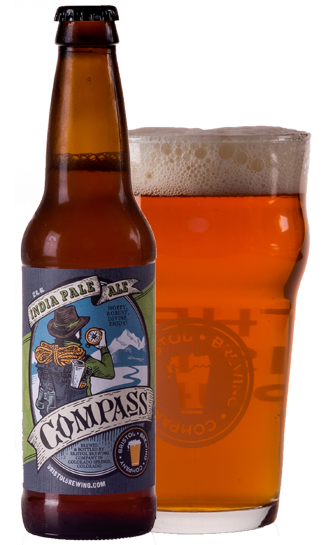 Compass delivers big hop flavor with malt in a nice supporting role. Pairing: Well-earned end of the trail toast.